Many businesses in Atlanta fail to see the importance of adding Radio advertising to their advertising campaign. Including many different advertising mediums in your marketing mix is important in reaching your audience and converting them into users of your brand. The more times they see or hear your brand, the more they become familiar and comfortable with it, increasing the likelihood of them buying your product. To get your clients to reach the point of purchase, on average you must engage with them 7 times. 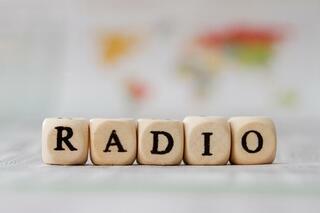 Radio advertising is a great resource to utilize when developing a marketing mix for your business. Understanding what radio advertising has to offer, the process of setting up a campaign, and how using a professional consultant can benefit you are important concepts to understand before diving into the world of radio advertisements. Radio advertisements are a great way to reach your target market with specific messages and get them to visit your website. You are able to create ads that are anywhere from 5-seconds to 60-seconds long, and achieve the amount of impressions you set out for. The website has the obligation of convincing and selling, but radio needs to peak their interest. So, businesses can get away with shorter messages, as long as those messages are effective and memorable. These ads are also valuable because they hit people when they are already on the go, and thus, more likely to perform a desired action. For example, when you have a radio ad playing for a supermarket at 5:30pm when your target audience is commuting home, you have a better chance of them actually stopping by your store on their way home. Once you have determined your objective, its time to research the radio stations in your market to find the best match. Most markets have many choices of formats and audience composition, so how big your budget is will determine how deep you can go. The depth of the campaign includes how many stations you can buy, how many day parts you can buy and how many days of the week you can buy. The timeframes that are usually used by radio stations are broken up into five sections. Evening - 7:00pm – 12:00am. In most cases a 30 second spot is half the price of a 60 second spot, and you can get double the impressions and you can still get enough of a message out to get them to go to your website or perform the desired action.We even suggest, in some cases, to do 15-second spot, or a 5-second spot to get more frequency. Aside from individual spots, radio stations also sell long-term contracts. These includes your ad playing during the selected time slots for a pre-determined period of time, usually anywhere from 13-52 weeks. 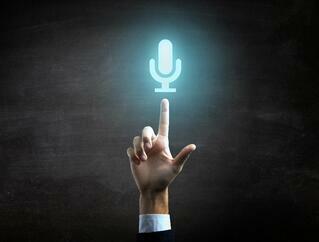 Know the Perfect Spot For Your Radio Ad? Before saying yes to a short or long term radio-advertising contract, read the next section on how a professional can save you money. When adding Radio Advertising to your marketing mix, using a professional consultant provides many advantages. When a business owner or employee tries to do business directly with the radio stations they face many hazards. Station reps are trained to develop bonds with their clients, taking them to concerts and sporting events and lunches. When the results aren’t as good as they could be a friendship usually stands in the way of making changes. By the time changes are made a lot of money has been wasted. Businesses need an outside, objective consultant who understands how radio works, and is able to cut through the rhetoric. Another problem business owners face when dealing with radio stations is that most stations have about 12 to 15 minutes every hour for commercials, and it is their job to “fill the holes”. They will try to sell you a spot or two in every day part, from early morning to late night. With a limited budget, your messages would be spread too thin. A good consultant will tell the radio station what will work for the client, as opposed to a radio station dictating to a client directly what they think is best for them, and their station. It is also important to know that radio rates are based on supply and demand. A representative looks better to management when he comes back with an order with high rates. If a business owner doesn’t understand the market and the competition, they might not get an effective or efficient schedule. A good agency or consultant can negotiate with the station and, in many cases, get better rates than going direct. If you think you are ready to take a shot at radio advertising, let our team of experienced Atlanta Radio Advertising professionals guide you down the right path. Click the button below and get started with your free advertising consultation. 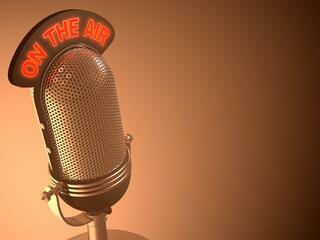 Have A Specific Radio Advertising Question You Want Answered?